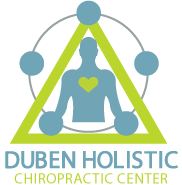 Duben Holistic Chiropractic Center offers our patient forms online so they can be completed in the convenience of your own home or office, before you even arrive to our chiropractic office. Fax or scan your printed and completed form(s) and upload it here or bring it with you to your appointment. Consent form for Doctor Duben to treat a minor.